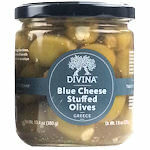 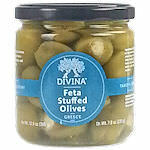 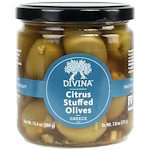 Famous Greek green table olives are cracked to create more succulent, herb-infused taste. 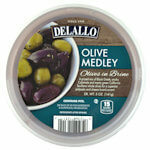 Great for chicken and fish dishes, salads, or just as a snack. 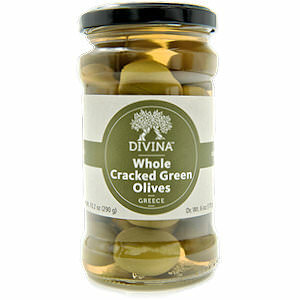 Ingredients: Olives, water, sea salt, citric acid.